Mohammad Shahidehpour, Bodine Chair Professor of Electrical and Computer Engineering, director of the Robert W. Galvin Center for Electricity Innovation, and associate director of the Wanger Institute for Sustainable Energy Research, has been elected as a member of the National Academy of Engineering (NAE) for his contributions to the optimal scheduling of generation in a deregulated electricity market with variable renewable energy sources. This prestigious recognition is considered one of the highest honors for engineers. Shahidehpour, who has worked for Illinois Tech for more than three decades, is the fourth member of the current Illinois Tech faculty community to join the NAE. Illinois Tech President Alan W. Cramb was elected as a member in 2014 and honored for his contributions to the development of high-integrity continuously cast steels. Former Illinois Tech President and Distinguished Professor of Engineering John L. Anderson was elected as a member to its governing council in 2015. 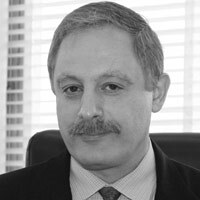 Darsh T. Wasan, Distinguished Motorola Professor of Chemical Engineering, was elected as a member in 2004. The induction ceremony for the NAE Class of 2016 will be held on Sunday, October 9, 2016, during the NAE Annual Meeting in Washington, D.C. The induction ceremony is the formal inauguration of new members and foreign members into the academy. The National Academy of Engineering was established in 1964 under the charter of the National Academy of Sciences as a parallel organization of outstanding engineers. NAE membership honors those who have made important contributions to engineering theory and practice, including significant contributions to the literature of engineering theory and practice and those who have demonstrated accomplishment in the pioneering of new fields of engineering, making major advancements in traditional fields of engineering, or developing/implementing innovative approaches to engineering education.